How do NHS Continuing Healthcare assessors describe care needs? In any assessment for NHS Continuing Healthcare comparisons between patients are irrelevant. 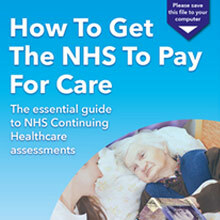 An NHS Continuing Healthcare assessment should be carried out for each individual person. In addition, the result of any NHS Continuing Healthcare funding assessment is based on that individual’s care needs – and that person’s needs only. However, some families report being told by assessors that an NHS Continuing Healthcare assessment involves making comparisons between patients. Reg has had a catastrophic stroke and now needs round the clock care. Alice has advanced Parkinson’s and is now totally dependent for all her care needs. Reg’s family, when requesting a Continuing Healthcare assessment, are told that he has no chance of getting the funding because ‘Alice in room 24’ has not been successful in getting it, and ‘Alice’s care needs are greater’. This is wholly flawed – but sadly families may not be any the wiser and they may simply accept that this is the case. Some people are never assessed for NHS Continuing Healthcar – purely on account of being given this kind of false information. Alice’s care needs are entirely irrelevant to Reg’s assessment process – just as Reg’s care needs are irrelevant when it comes to Alice’s eligibility for NHS Continuing Healthcare. Reg’s assessment process should look at Reg’s care needs only – and only in relation to the NHS’s legal requirement to provide fully funded Continuing Healthcare. In addition, it could well be the case that the funding decision in Alice’s case was incorrect and that her family will subsequently win an appeal. The National Framework for NHS Continuing Healthcare and NHS-funded Nursing Care makes this abundantly clear. “Eligibility for NHS continuing healthcare is based on an individual’s assessed needs“. There are so many references to the individual in the National Framework, we’re not going to list them all here. If you need further page and paragraph references to back up your case in as assessment regarding this topic, do a ‘search and find’ exercise with the National Framework document. Eligibility for NHS Continuing Healthcare also has absolutely nothing to do with whether a care provider finds one person harder to care for than another. Just because a care provider might describe a person as ‘no problem to look after’ (or other such meaningless statements) does not mean the person’s care needs count for less than someone else’s needs. Other people’s needs are completely irrelevant. 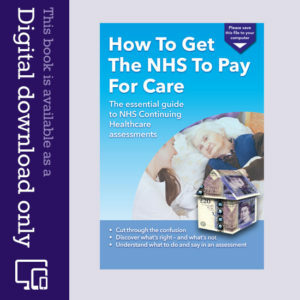 For step-by-step guidance through the NHS Continuing Healthcare assessment process, our ebook How To Get The NHS To Pay For Care will help you. My mum had a severe stroke in 2012 leaving her with vascular dementia and paralysed all down her left side. She required 2 carers 4 times a day of which the social picked up her bill due to her being under the £14,000.00 savings. In 2013 my father who has emphysema and COPD was diagnosed with tongue cancer so we had to put mum into a care home. My mother pays £600 per month and my father now pays £885.00 per month (which is more than the £700 he takes home from his pit pension). Two years ago we tried to get NHS Continuing Healthcare (CHC) for my mother but were told she did not qualify. Now my father has deteriorated and has spent 4weeks out of 7 in hospital where he presently at the moment due to pneumonia and a possible blood clot. We now need care for our father as well as our mother but as he is bed bound due to not being able to walk and he cannot breathe. He has 1 carer calling with the independent living at home from the council which will be for 4-6 weeks. He doesn’t want to go into care he wants to stay in his bungalow. He is peg fed due to the tongue cancer treatment leaving him with scaring on his throat. We are going to request another test for mum to gain CHC as she now has to be fed as well as being changed (she is fully incontinent and is on medication for seizures, cholesterol and high blood pressure). But was told last time she was assessed that dad will still have to pay the £885 top up fee for mum to stay in the home. We are only doing this again as dad requires care now and he will be financially liable for the costs which at the moment he will struggle to meet due to the care home top up cost. Please can you let me know if dad is still liable for the top up fee if mum does get CHC? Wondered if you can advise. My gran was released from hospital on Friday after another week and half stay. Sunday we had to call out of hours and basically they wanted to send her back in with another infection. She has a large cancer mass on her breast and we are not sure how far it has spread as no one told us. She is 93 and now bed bound after falling last year and breaking her shoulder and hip. And then having to go back into hospital in March because the pins in her hip had dislodged and were sticking into her leg. They removed her pins and plate and since then has just not been able to stand and got weaker and weaker. They decided on Sunday they would Fast Track her and get McMillan nurses in to asssit and get free care. What is free care? Currently we have been paying for two carers to visit morning noon dinner and night time, and for the last 3 nights my dad has been staying over And being there all day with my mum, we have been visiting and staying after work until 7ish. McMillan nurses say the day care is now free, and they can offer two free evenings.. This isn’t Continuing Healthcare though, as us as a family are being there every day, they are popping in to see if she is wet, to see if she will eat or take a tablet, and to cover the evenings if my dad wishes to leave her. It will cost time and a half on a Saturday and double time on a Sunday, along with 3 week days = £800 a week. From 10pm until 8am with an agency… so we as a family are still gonna have to be there through out the day unless she is left on her own, when she can not move, hardly lift a cup or swallow any food. Where is the free NHS Continuing Healthcare assistance on this? They said since she isn’t paying for the day care now she can pay for the evening care…. I’m not sure how long she has left, she is very stubborn and would not go back into hospital, or a care home, But how can they leave her like this…. she may have a few days a week or 10. I just think it’s terrible you work hard save and then get no help or end up paying out your savings. Macmillan nurses are not part of NHS Continuing Healthcare (CHC) care…. They are charitable additions and their additional care should not reduce that given by the NHS as part of the ‘Fast Track’ process. The NHS should already have established a care plan for her care at home if that is where the hospital is attempting to return her. That plan should be undertaken by the NHS and paid for by them at least until they carry out a full NHS CHC assessment, which will doubtless, follow on. If Fast Track has been undertaken then all costs should be funded by the NHS. Has NHS CHC ‘Fast Track’ actually been promised (and in writing)? Or is what they are describing some fast discharge procedure such as ‘Discharge to Assess’? Where the patient is kicked out with a promise of a much later CHC assessment. My Dad is in a nursing home and has been for 6 years following a significant CVA. He is doubly incontinent, PEG fed, insulin dependant diabetic, immobile. He is completely reliant on nursing/care staff and high risk of pressure sores, aspirating and fluctuating capacity, expressive and receptive dysphasia, Hypertension. Macular degeneration, Hyperplasia prostate and Hypercholesterolaemia. Chronic kidney disease stage 3, Transient Ischemic attacks (TIA), depression, risk of urine infections and aspiration pneumonia. When he was admitted to hospital he was classed as bed blocking, he was assessed to go home however his was not viable and was discharged to a nursing home. He was financially assessed by the local authority. My mum who is a pensioner and in receipt of benefits was told she would have to pay over £50 a week plus my dads pension contribution. I asked for a Continuing Healthcare (CHC) assessment last year (was not aware of the CHC and dad gets PNC) however he was assessed as not meeting the criteria for CHC. I am confused. He is in a nursing home because he needs nursing care his social needs are secondary. If a Continuing Healthcare (CHC) assessment was not done 6 years ago, I do not understand how Funded Nursing Care (I assume that PNC is FNC), was being paid. As for the recent CHC assessment and if you wish to, appeals process, You need to take the long list of illness and look at each need associated with nursing that need. Be nit picking about it and construct a list of every tiny part. I always make the point that simply looking at the complexity/intensity/unpredictability/continuity of making cups of tea for someone is a good way of assessing for yourself just how someone’s needs have to be listed. If the NHS tries the old ‘well those are just needs of daily living’, then you make the point that it would be true for a fit, cognitive patient but far more complex or intense etc. 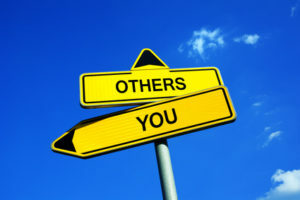 for someone living in close proximity with others having similar needs and limited and often changing and therefore unfamiliar staffing with which to provide them. As for asking your mum to top up funding, a 2010 booklet from our council stated that such a thing was unlawful. They could ask for another person to do this but not a spouse. It was conveniently forgotten by the next annual reprint. But it remains true…….. Suppose a spouse was 20 years older than the patient? It would be very silly to ask a spouse to contract to pay money when they might not outlive the patient, wouldn’t it? In any case no one can be forced to top up the council care other than the patient. And even in that case they can only be expected to refund via the means testing, what the council pays in total to the nursing home. Thank you for your reply. I have sadly had to raise a safeguarding concern and as a consequence I have asked that the nursing home request another Continuing Healthcare (CHC) assessment on the basis that my dad’s physical and mental has deteriorated and also that I feel that we were misrepresented at the original assessment, with no input from other agencies involved in dads care i.e GP, Speech & Language Therapy (SALT), Older People’s Mental Health, opthamologist, Diabetic nurses or a RN from the nursing home (we had a senior carer with no access to dad’s notes). Dad is also on a Deprivation of Liberty Safeguard (DoLS). I have told the local authority that my mum is no longer going to pay the top-up she barely survives on her benefits, they are arguing that fact that I signed the paperwork (although at the time I didn’t know what I was signing, but they assessed my parents financial situation and take the top up from my Mum by direct debit, there has been no assessment in over 5 years. Given what you have said about not asking a spouse to provide a contribution I wonder if that is why I was asked to sign it despite not knowing what I signed. Your website is so helpful I feel like I am taking on the world, I just see unfairness on a couple who are in this dreadful situation at no fault of their own. Here is what Angela Sherman had to say about this a while back. Ask if the eligibility criteria used would Pamela Coughlan qualify? If not ask if the eligibility criteria used is Coughlan compliant? Good point, Peter – thanks. Please could someone help, we have just been to a Decision Support Tool meeting made up of the people we asked to be there which was great, but the assessor was explaining the process to one of the care workers and she said that the recommendation made to the CCG would be from a final discussion between her and the social worker, not the Multidisciplinary Team members present. Is this correct? Any advice would be much appreciated. Anyone qualified to provide information during the open session, in any professional care capacity, should be included in the private session at the end of the Multidisciplinary Team (MDT) meeting. The ‘T’ in MDT after all, stands for team. Each of their domain scores and the rationale should be included on the Decision Support Tool so that disputes between members can be addressed prior to the CCG (and it should only be a CCG), makes its decision. Thanks for this. Have looked at the NHS National Framework and it does all along say the Multidisciplinary Team (MDT) will make the recommendation to the CCG. Are the CCG within their rights to just use 2 professionals to make that recommendation (as I know it states that 2 are the minimum required), even though there are several other professionals there who know the patient better? Ann, any member of the Multidisciplinary Team (MDT) that acts in private session, must be allowed to voice their concerns and to dispute if the main assessors from the council and the NHS do not agree with them. The rules actually require the entire MDT to raise the score within any argued domain and to note their dispute’s reasoning, if a dispute cannot be resolved. If the ‘professional’ person better knows your family member then they will give you grounds to dispute the outcome if their levels are ignored or altered. We once had an independent nurse assessor attend a MDT and she was entitled to remain, (along with the nursing home manager RGN), within the MDT team in the private session. Her written observations were at issue with what the MDT reported to the NHS. That gave us a crowbar to dismantle the entire assessment at a much later Independent Review Panel appeal. From our latest assessment of my mum, The social worker, perversely, kept attempting to downgrade the NHS assessor’s Decision Support Tool scores. I wonder if having made his assessment, that he was trying to make the outcome match his experience in making assessments instead of comprehending that his experience of assessing others played no part in assessing my mum on that day. Anyone else had this variation? A relative had diagnosed dementia and registered POA of which the GP, District Nurses and Care Home knew. They had also been informed that relative needed support in making decisions and was liable to give incorrect medical histories and accounts of events. There was a (2+ year old) psychiatric report available to this effect, but had probably been ignored. Health professionals attended relative alone, and from notes obtained purport to have informed him about all agencies and benefits of help. I heard nothing of this, and relative doesn’t recognise he is in need of any help, even if he had retained the information. through my own approaches to the GP I had asked for an updated psych assessment especially as to capacity and consent, and to assist in a much needed application for Continuing Healthcare (CHC). I have since discovered a Community Psychiatric Nurse (CPN) did attend, but with the assistance of the care home manager they decided the service could offer my relative nothing! Similarly, the GP was informed of this decision but didn’t tell me. These events (and many others) effectively ignore my relative’s individual health needs and the diagnosed cognitive difficulties he has, and which triggered the registration of the POA. The actions resulted in inadequate and poorly timed care, and him not receiving a CHC assessment until 2 years later, when he had probably been at Severe level in 3 domains throughout that time. Any idea how to draw the importance of Capacity, Consent and Attorney appointments to the various agencies involved to ensure the individuals’ needs are highlighted, and dealt with in a” joined up thinking” way for the benefit of the patient? I once had a social worker just before a Multidisciplinary Team (MDT) assessment, say something like…… I’ve done lots of these and I can tell you that his needs don’t match those of others that I have seen turned down. Have had ward sisters tell me “He won’t get it, it’s not for dementia.” Also had a social worker in a Decision Support Tool apparently going through an adolescent bragging phase, and who treated us all to her experiences of working “with really challenging crazy people”. Her point (I think) was to express her disregard for my relative’s behavioural needs (he was 89 at the time) compared with the needs of some more mobile 20 year olds. Offensive and incorrect at so many levels. Jenny, look up IMCA. Independent Mental Capacity Advocates. They are trained to act for patients with capacity issues. Suggest that one was not involved soon enough. Thereby causing a lack of assessment. Thanks Chris will do. But surely the point is relative had an attorney appointed, they knew it and should have contacted me whenever there were decisions to be made about his treatment. Instead the notes often show, they “obtained consent of px [patient]”. He has little appreciation of his condition and cannot reliably retain and weigh up information to arrive at any but the most simple decision, eg sugar in tea. His capacity to make a decision, or to give or withhold consent to treatment, meds etc must have been suspect, which I repeatedly advised them of in writing, and yet they continued to rely on his judgement and his ability to tell me what happened after the event. Needless to say, I’m discovering many examples where I wasn’t informed about anything – which in turn gave them little or no information and no CHC assessment was offered. Anyone had experience of this in preparing a retrospective claim? Never done a retrospective so I cant comment there. Although, I would make an index of the list of infractions and then create a comprehensive document describing the infraction in full. AT each point add if it is a National Framework breach, procedural error or breach of law. If nothing else you will confirm that you are not going mad or being unreasonable. Unfortunately many are not clued up. Or they will only involve the individual’s attorney when they want “sign off” on something that might be considered “controversial” as far as the patient and the patient’s relatives are concerned. If a lasting health and welfare power of attorney has been registered at the Public Guardianship Office, and the clinicians have been made aware of it, those clinicians should be consulting the patient’s attorney as a matter of course, particularly so if the patient lacks capacity. As always there is a grey area (which we found ourselves in) where a patient has “fluctuating capacity”. In such situations some clinicians will take instructions from the patient and bypass or forget about the attorney. Or only inform the attorney after the event. Or not at all (we had one instance where we discovered only after reading our loved one’s medical records that the GP was talking to our mentally incapacitated loved one about whether or not they wished to be resuscitated at a time when our relative couldn’t possibly have understood either the concept nor the implications). 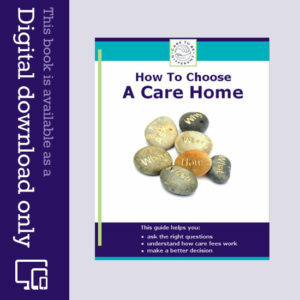 If you consider that your loved one did not have the mental capacity to make any decisions that you believe he was asked to make, you can complain, initially to the appropriate NHS body responsible, and then (if you are not satisfied that your complaint has been dealt with to your satisfaction) the Parliamentary and Health Service Ombudsman (bearing in mind that the PHSO has no legal obligation to investigate every complaint it receives – apparently of the roughly 100,000 complaints they receive each year, approximately 4,000 are investigated). Regrettably you only have 12 months from the time you became aware of the matter to be complained about to make a complaint. That time can be extended but you must have a reason which amounts to an exceptional circumstance to do so. Our experience has been that many clinicians are insufficiently aware of the legal framework within which the are supposed to operate. Or they simply ignore that framework. Unfortunately, the administrative system in England for complaining isn’t robust enough to ensure that if mistakes have been made, lessons are learnt and mistakes are not repeated. What, for the seriousness, is hysterical is the NHS’s delaying tactic due to their insistence on making representatives sign off so that data and records can be sent to them, when they are already named on the Decision Support Tool as a representatives of ‘Non Cognitive’ relatives or friends. There again the council also try the same trick when you do a full subject access request for a relative (Obtaining every record that they hold), The council will delay matters often for weeks due to the fact that you are not a Power Of Attorney holder, even though it was you that gave them the majority of the data that they hold, because it was you that completed their ‘Financial Assessment’ documentation upon their often ill-timed demand.